We get asked all the time, “What’s the most popular song couples are choosing for their first dance?”. 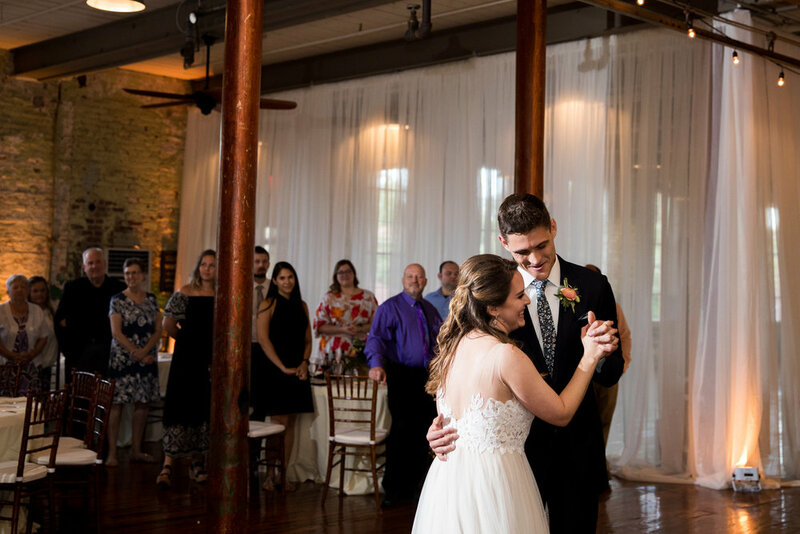 It’s hard to say, since every couple is unique and a first dance choice reflects their style, musical taste, and one-of-a-kind love story. Now that 2018 is nearly at a close, we decided to compile a list. Easily the most popular first dance of 2018 was Ed Sheeran’s “Perfect”. Both the solo version and the duet version, featuring Beyonce, racked up a total of 9 plays this year. Aside from Ed, Leon Bridges was exceptionally popular. Three of his hits, “Beyond”, “Here in my arms”, and “Coming Home”, combined for a total of 7 plays. If you look down the list, you’ll see that 3 couples chose “Stand By Me” all by different artists. Is it a coincidence that the top 3 all have a timeless, classic feel to them? Need some ideas for your own wedding, or just want to see what was hot in 2018? Take a look at the list below and listen on the embedded Spotify playlist. Older PostAthens Violinist Chris Gustin!